Acne is something that plagues millions of people. Sometimes you might get a single zit here and there, and sometimes you’ll get a whole face and body full of it. No matter what type, the reason for it is the same: clogged pores. So, what do you do? Well, you’ve probably tried a bunch of different treatments, but sometimes, nothing seems to work. Or maybe one works a little bit while another works slightly better, but neither actually giving you amazing results. But have you tried honey? While it might sound like a joke (who wants to put sticky stuff on their face? ), the truth is that it’s been shown to work against acne. The trick with acne is to clear out the pores that have been clogged. The irritating junk that gets in there includes dead skin, dirt, and oil that begin to grow bacteria. That bacteria creates pus, and everything combined results in redness and inflammation. Not a great thing to deal with. When your acne is bad, you don’t just want it gone, you want it gone right now. Don’t waste time trying remedies that don’t work – find the ones that act fast. Go here to learn more. Antibacterial: The natural enzymes present in honey combine together to form hydrogen peroxide, which kills bacteria. Once those nasty microbes start to clear out, it helps to get rid of swelling and open up the pore so that you can wash or scrub it out. Anti-inflammatory: There is a calming effect that honey has, causing inflamed tissues to relax and settle down. This decreases both swelling and redness, easing acne pain and making it easier to clean the area. Antioxidant: The antioxidants found in honey speed up the healing process and help prevent acne scars. If you are allergic to bees, there is a small chance you could be sensitive to honey. To make sure honey is safe for you, test a very small amount on your skin. If you develop redness or swelling, this may not be the right choice for your acne problems. 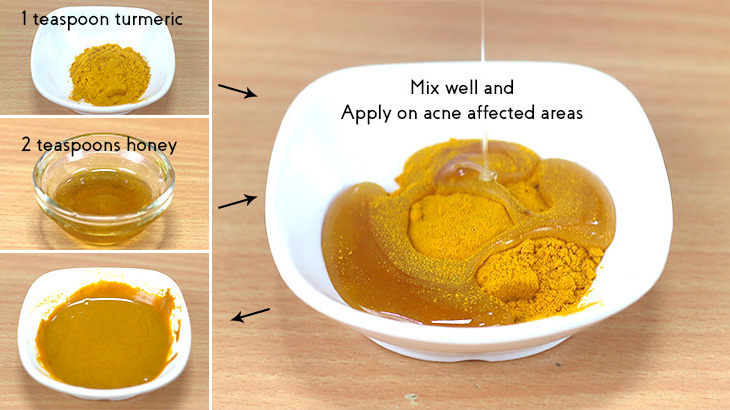 Using honey for acne is simple. First, it’s a good idea to wash your face with warm water and a gentle cleanser. After drying, apply honey straight to your face or body areas that have acne, rubbing it in softly. Then, let it sit for at least a few minutes. When you wash it off, use warm water and circular motions to make sure you get every last sticky bit of it. Honey isn’t the only natural ingredient that fights pimples. Baking soda has been shown to kill bacteria and balance the ph levels in your skin. Click here to find out more. 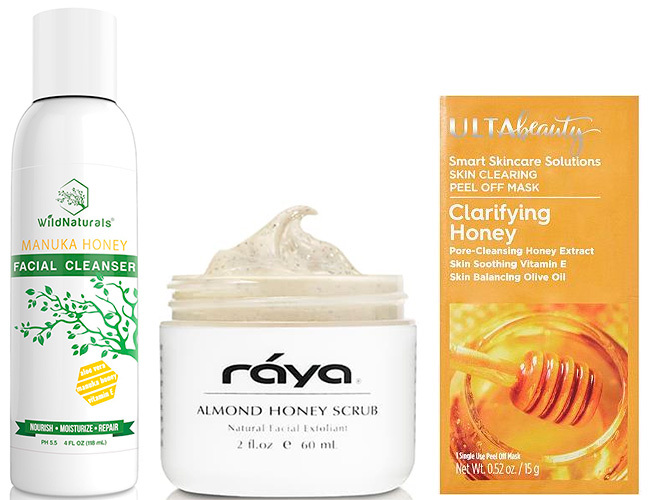 For the best results when it comes to honey and acne, you’ll want to use raw honey. And what’s the difference between raw honey and regular? Well, commercial honey you’ll find in most stores has been pasteurized and filtered, which kills much of the anti-inflammatory and antibacterial enzymes in it. With raw honey, it is harvested straight from the honeycomb of a beehive after being filtered. Since it doesn’t go through a big process like regular honey, it keeps every last bit of its natural healing and bacteria-fighting properties. Still, don’t believe that honey can do wonders for acne? You might not realize it, but there isn’t just one type of honey. Maybe it sounds weird, but if you really look, you can find several different types. There’s Clover honey, Acacia honey, and Buckwheat honey, among others. One type that is special when it comes to acne, in particular, is Manuka honey. 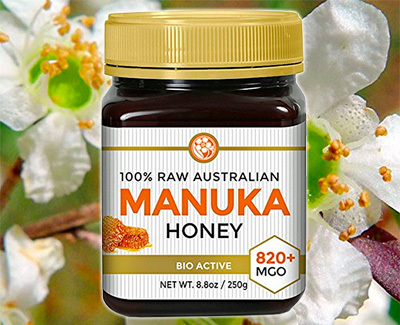 Manuka honey originates in New Zealand from bees that pollinate the Manuka bush. Just like regular honey, it has antibacterial properties, but there’s something that makes it even better. It has very high levels of methylglyoxal, a component that gives honey antibacterial power. Basically, the higher the level of it, the better the power. And Manuka honey has tons of it. To use Manuka honey for your acne, spread it all over any affected areas, then let sit for ten minutes. Wash it off with mild soap in a gentle scrubbing motion. There are so many acne remedies out there, it can seem impossible to choose just one. Fortunately, you can find the best acne treatment for you here. If you don’t feel like putting honey straight on your face, don’t worry, as there are products out there made with honey built into them, all of which can help you with your acne. Naturopathica Manuka Honey Cleansing Balm: This cleanser uses Manuka honey that will fight and clear your acne while adding moisture and probiotics to the skin. Skinfood Black Sugar Honey Mask: Exfoliation is important for acne, in that it gets rid of dead skin that clogs pores. 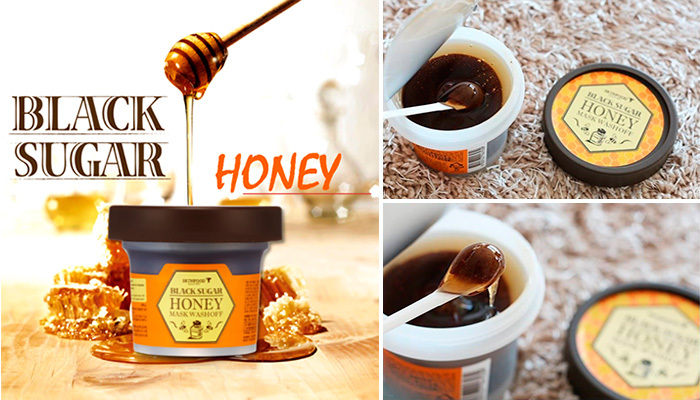 This mask uses black sugar to gently scrub your face, while honey provides moisture and acne-fighting components right where you need it most. Wildnaturals Honey Face Wash: Rest assured that your skin is benefitting from the magic of honey with this wash. Ph-balanced to match the natural levels of your skin, it’s pretty much as gentle as you can get. Raya Almond Honey Face Scrub: This scrub is ultra-natural, using almond meal, cornmeal, and grains to exfoliate dead skin away. A huge plus for acne sufferers is its key ingredients of honey and aloe vera, two powerful antibacterial substances. Honey was used in ancient times for many healing benefits. Ulta Honey Clarifying Peel-Off Mask: Using the ever-powerful honey as its main ingredient, this mask delivers acne control you’ll be happy with. Simply let dry, then peel off, taking out dead skin and oil with it. You’ve probably heard all about essential oils, but did you know it can help your acne? Although it might sound odd to use an oil for pimples, many of them really work! Learn more right here. While face washes, scrubs, and lotions are great for acne, something else that can be extremely beneficial is a honey face mask. Masks are different from regular cleansers, in that they work to really detoxify and pull oils and dirt out of your skin. If you have acne and want to enjoy the benefits of honey in the form of a mask, then look no further. Honey Avocado Mask: This recipe is for those who have dry skin. While the honey kills bacteria and cleans your pores, the avocado and yogurt moisturize and soothe irritated acne skin. Mix 1 tsp honey, 1 tsp whole milk yogurt, and 1 tsp avocado, then leave on for 20 minutes before washing off. Honey Aloe Mask: Aloe is another ingredient that has antibacterial uses like honey does. It also helps heal the skin, minimizing acne scars. Mix 2 tsp raw honey with 1 tsp aloe vera gel, then leave on for 10-20 minutes. Honey Lemon Mask: Lemon juice is very acidic, which exfoliates dead skin off your face that could clog pores. It also helps to dissolve the grime already stuck in your pores. Mix 2 tsp raw honey with ½ tsp lemon juice, then leave on your face for 20-30 minutes. Honey Almond Mask: Grind up some almonds to use in this mask. The particles scrub your skin while delivering good fats to moisturize. Like usual, the honey will break up pore-clogging oil and skin. Mix 2 tsp raw honey with 1 tsp ground almonds. Rub it in circular motions around your face, then leave on for 20 minutes. Honey Turmeric Mask: Turmeric has been used for a long time as a natural anti-inflammatory. Its powerful properties calm inflamed acne and balance your skin tone. Together with honey, it helps make your face smooth and clear. Mix 2 tsp raw honey with ½ tsp turmeric powder, then leave on for 30 minutes. As unconventional as it may sound, honey has been a proven remedy for acne. Go to any grocery store to find the right kind for you, and get started on clearing your pimples for good. 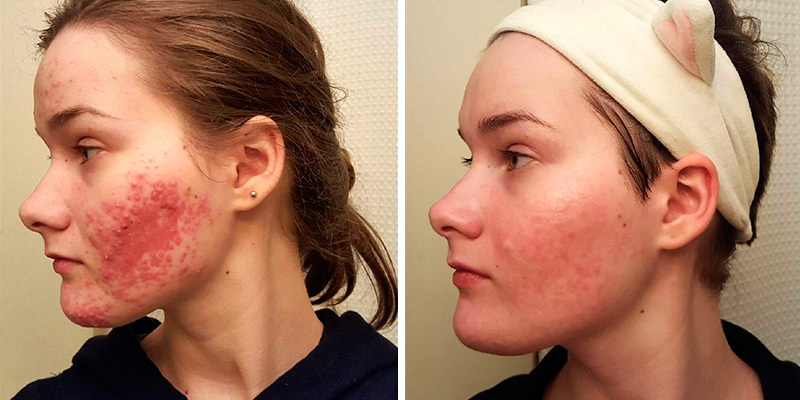 You can find further details of Acne here.